What Dasheroo Triggers and Actions are Supported? Send Data to Dasheroo - Creates a line or area chart from the data sent to Dasheroo. 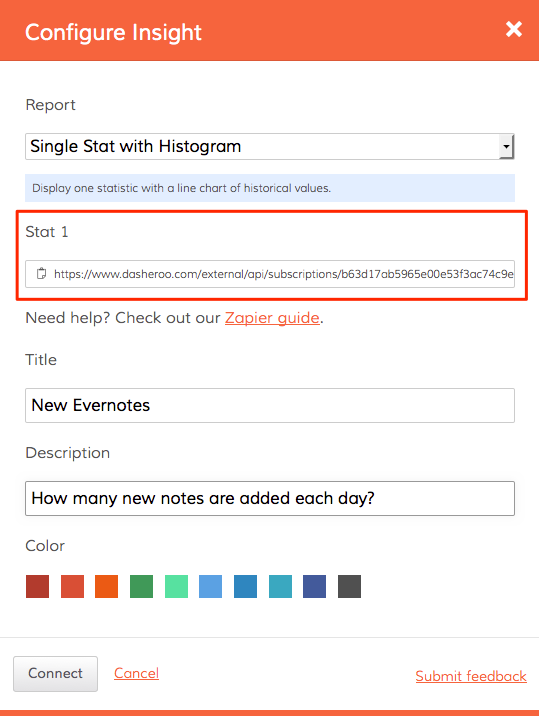 Important: Take note of the pre-filled URL within the section that says “Stat 1.” This is the URL that is uniquely tied to the insight you are adding to your dashboard. You will add this URL into Zapier when setting up your Zap. 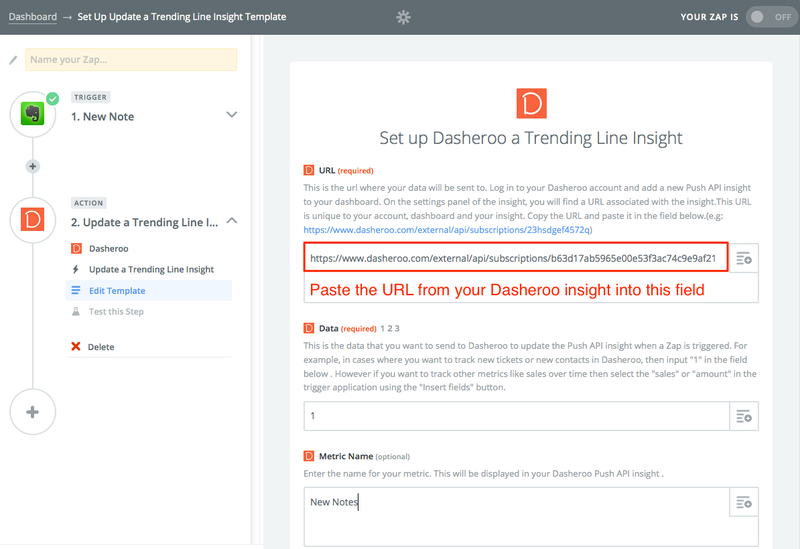 This URL is the direct link between Zapier and Dasheroo and is how data will be sent from your trigger app into your dashboard. 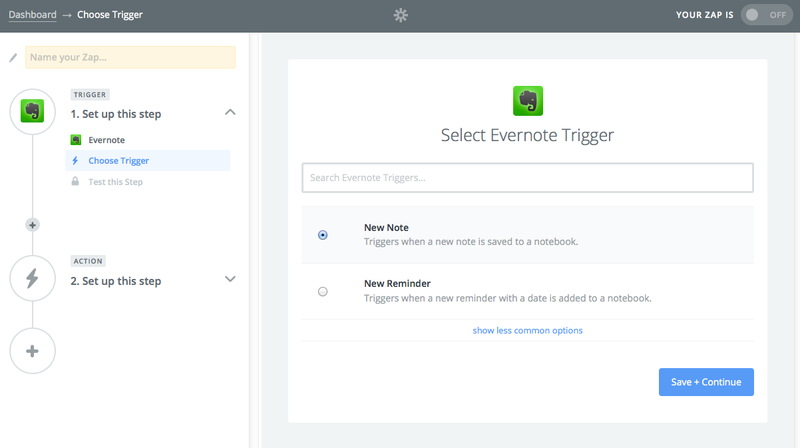 As for data, you can choose any valid data from the trigger application as long as it’s a numeric value. Remember the data you send will be plotted as a trending line graph. So choose metrics like revenue, orders, no. of items etc. Don’t use values like contact name, company name, address etc. Metric name: This name will be displayed in your insight in Dasheroo. Either choose a name from the trigger app or provide your own. Although metric_name is optional, always provide a metric_name value. This will ensure that you see the metric in your Dasheroo insight. Not currently but we are working on this as we speak. 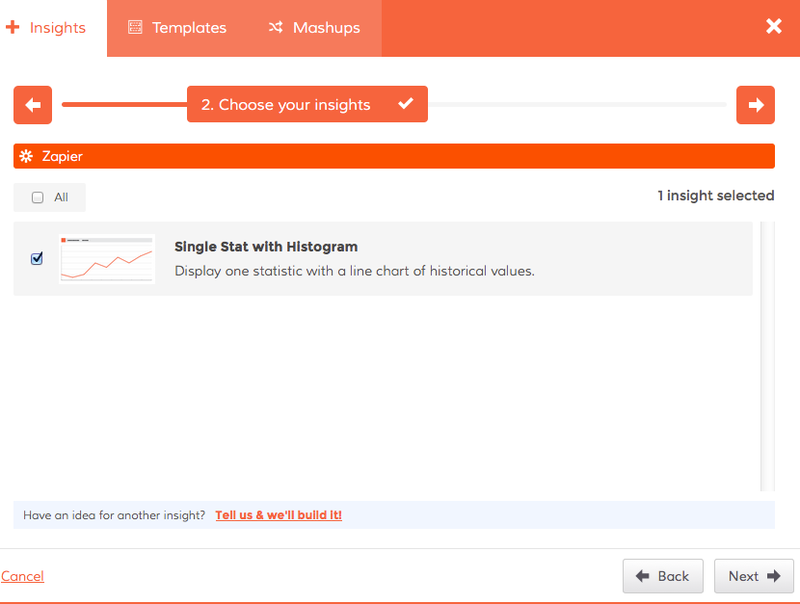 So watch out for more actions in Zapier for different visualization types. Dasheroo updates user dashboards on different intervals based on the different insights that are included from the wide range of providers we support. 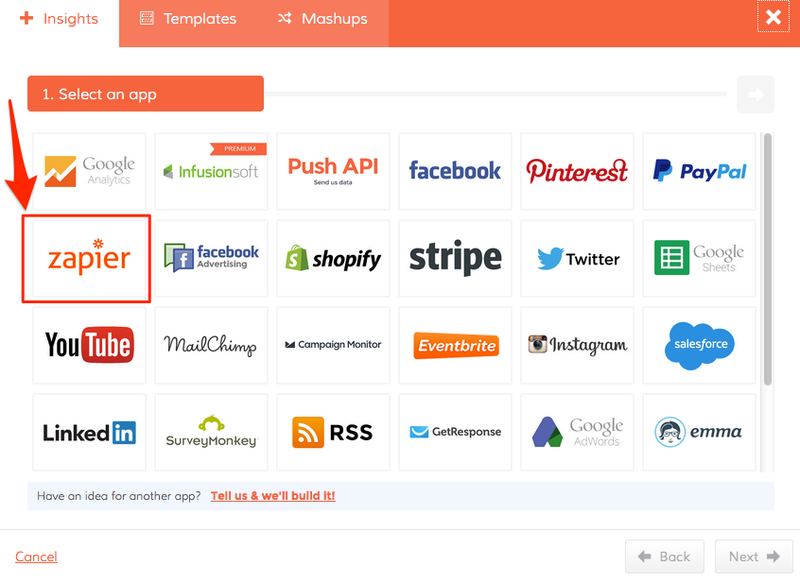 Keep in mind that for free Zapier accounts, they will look for new data and makes a call once every 15 minutes. 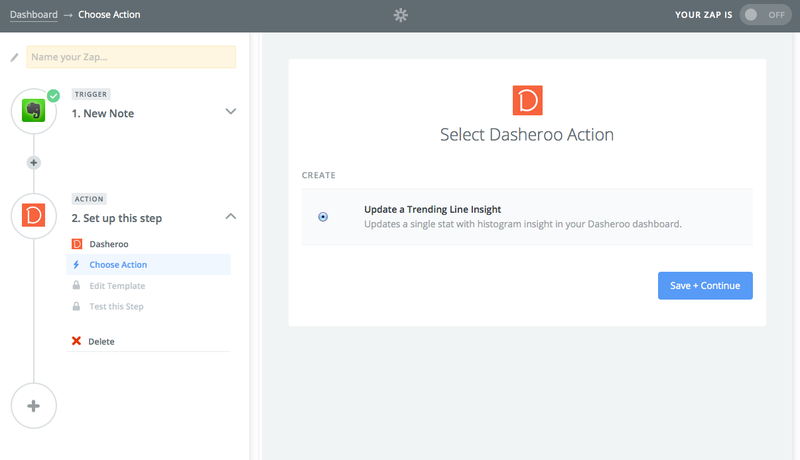 Once Dasheroo gets the data, we update your dashboard with the newest data. For testing purposes, you can run a Zap to see the data sent to Dasheroo immediately.